Formed from Tom Green County. Created February 26, 1887, organized May 7, 1910. Named in honor of John Cunningham Upton 1828-1862, a distinguished Confederate officer killed at Manassas, August 30, 1862. County Seat, Upland, 1910-1921, Rankin, since. A cattle and sheep raising county. Oil wells dot the county. – Historical Marker Text. Marker erected 1936. Marker located 6 mi. E of Rankin at roadside park. Plate and seal reported missing Feb. 2007. John C. Upton and His Brother, W. F. Upton. County named for Texas Confederates (Star and Wreath). Colonel John Cunningham Upton (1828-1862) Born Tennessee. Came to Texas 1859. Raised company outbreak of Civil War. Attached to 5th Texas Infantry, Hood’s famed Texas Brigade, fighting in the campaigns in and around Virginia. Rose to Lt. Colonel of his regiment. The day before his death at the Battle of Second Manassas, led charge upon the enemy rear guard which was a seldom seen, yet brilliantly executed move. Colonel William F. Upton (1832-1887) Born Tennessee. Came to Texas 1853. When Civil War broke, enlisted Texas state troops mustered in for Texas frontier protection. He served in various military units in Texas, helping to successfully guard the 2000 miles of frontier and coastline open to Union or Indian attack. Promoted to Lt. Colonel of Mann’s regiment, stationed in Galveston area along with other Texas troops to prevent expected mass Union invasion in 1865. Member of State Legislature 1866, 1876-82. – Historical Marker Text. Marker erected 1963. Located on the Courthouse Lawn, corner of 10th and Rankin Sts., Rankin. Upton County 1922. 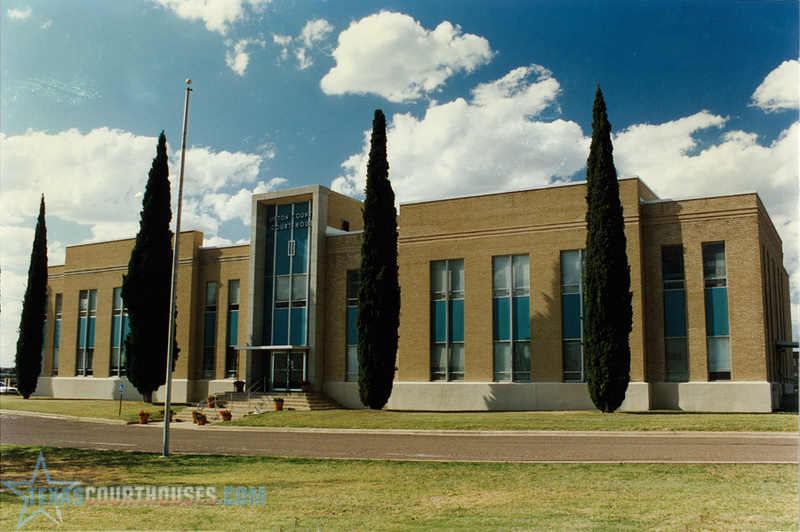 This county, though given formal boundaries in 1887 and detached from original Tom Green County, long remained among the unorganized counties of West Texas, and the county government was established in 1910. Previously it had been attached to Midland County for judicial purposes. Until very recently it has been essentially a stock raising country, and its limited population almost entirely engaged in that vocation. Since 1910 two important developments have occurred. The first demonstrated that Upton County lies in the area of the “shallow water belt,” and by means of pumping it is possible to irrigate large quantities of land on an economic basis. About 1912 the Kansas City, Mexico & Orient Railroad was constructed across the southern border of the county, and that railway promises to inaugurate a new era of improvement, and the coming of new settlers of a farming class will bring about a more general utilization of the natural resources of this section. The population of Upton County at the last three census years was : In 1890, 52; in 1900, 48; in 1910, 501. In 1920 the population was 253. The county seat town is Upland , which is located near the center of the county and was the only postoffice until the coming of the railroad, since which time the station of Rankin has been located on that line. The report of the last census furnished only meager statistics on agricultural development. One hundred and five farms were enumerated, as compared with eighteen in 1900. Of a total area of 764,800 acres, 1,638 acres were “improved land,” while at the preceding census only eighty-five acres were so classified; 9,959 cattle were enumerated, 1,239 horses and mules. Assessment values in 1903 were $364,440; in 1909, $1,122,850; in 1913, $2,672,275; and in 1920, $2,220,365. – History of Texas, 1922, by W. Barrett Travis.